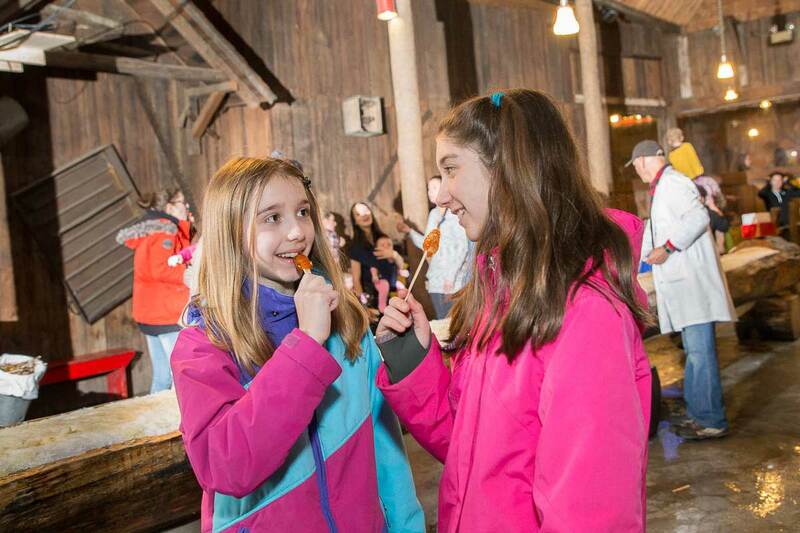 Tasting of the tire on the snow in our evaporation room inside our sugar bush. Come visit our maple shop with a variety of different products. La Goudrelle offers you gift ideas to spoil you and for those you cherish. Cooked dishes on site, also for sale. Beautiful discoveries. Pedestrian and snowshoe trails in the setting. The only maple grove at Mont St-Grégoire, with its trails in the mountains. 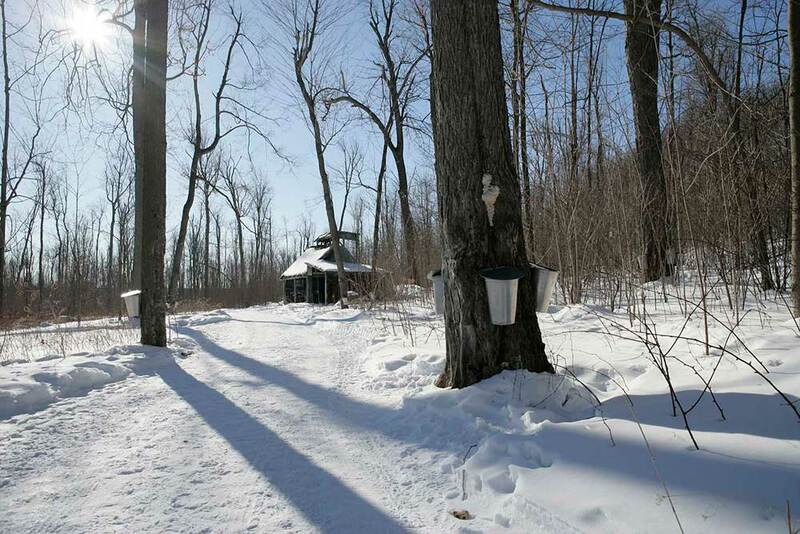 Take the opportunity to visit the sugar shack for a walk before or after your meal. Dance room in the sugar bush. 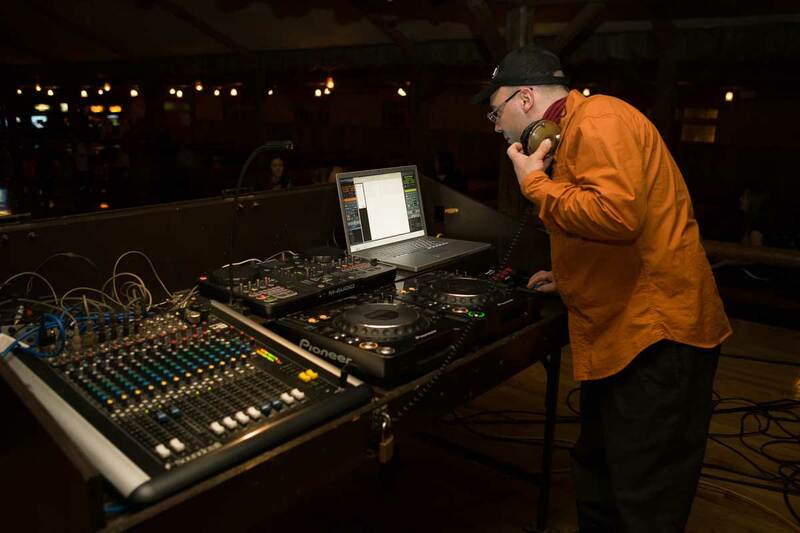 La Goudrelle at one of the largest dance hall. 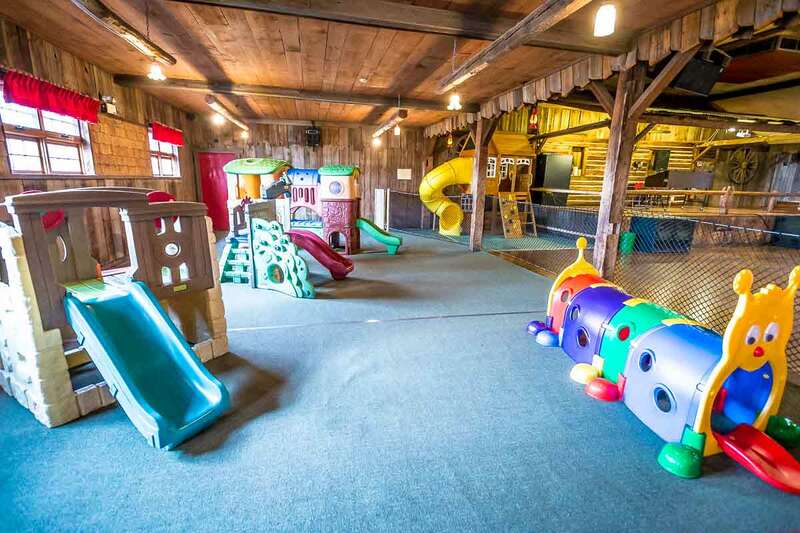 Open everyday you can entertain yourself in a festive atmosphere. Two choices of stroll are offered to the customers of La Goudrelle. The first is the motorized ride which is free from 1 pm to 5 pm on Saturdays and Sundays. 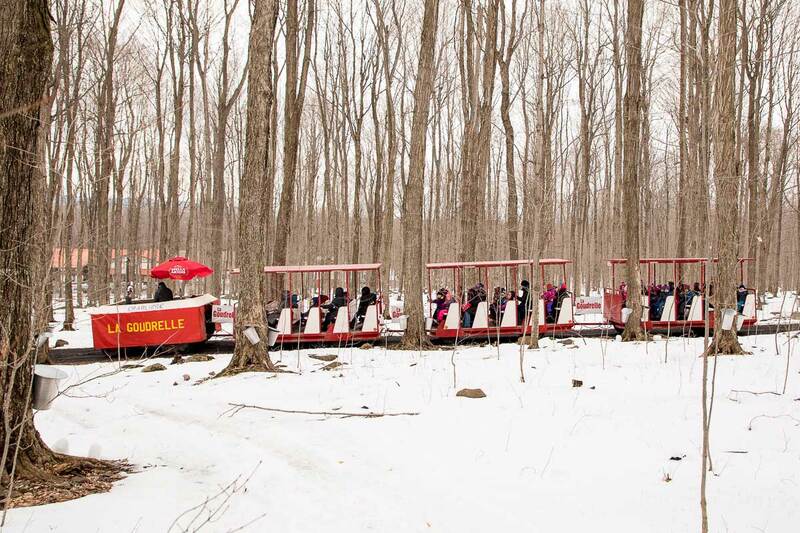 Climb aboard the trails of our sugar bush. 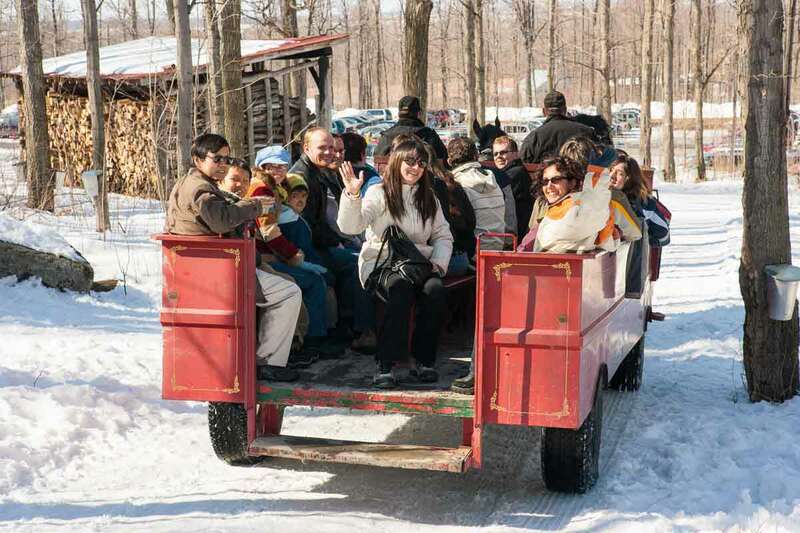 The second is the horse drawn ride available on Saturdays and Sundays from 1 pm to 5 pm at a cost of $ 3 per person. Both small and large are always impressed to see horses up close. 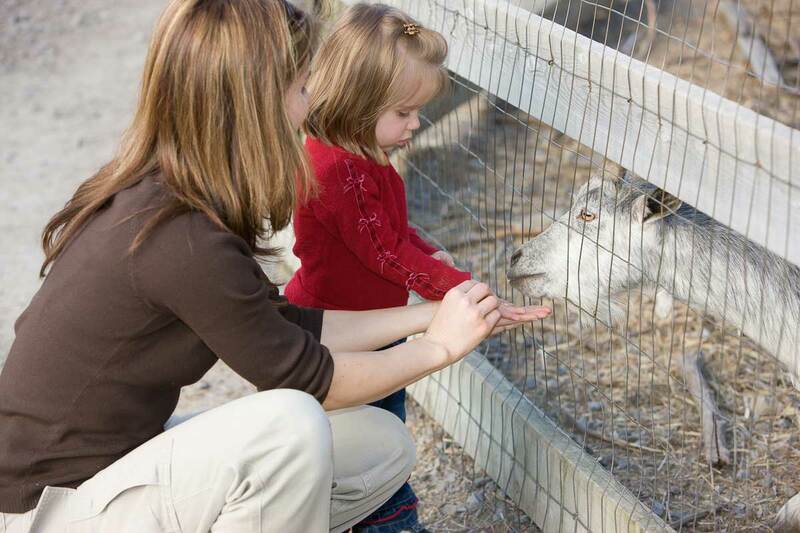 La Goudrelle offers you a great course of hebertism in the forest is arranged for the children of 5 to 12 years. They can have fun while perfecting their abilities Let them have fun in the open air. The hebertism course is open every day from 10 am to 5 pm, when the weather permits. Our animal park is set up outside the maple grove in order to observe different species of animals. You have the possibility for you and your children to feed them with mold available on the spot. Open every day except in case of rain. In La Goudrelle we offer you a horse drawn sleigh ride. The trails of the maple grove are arranged to allow you to take a horse-drawn sleigh ride with a minimum cost of $ 3.00 per person. 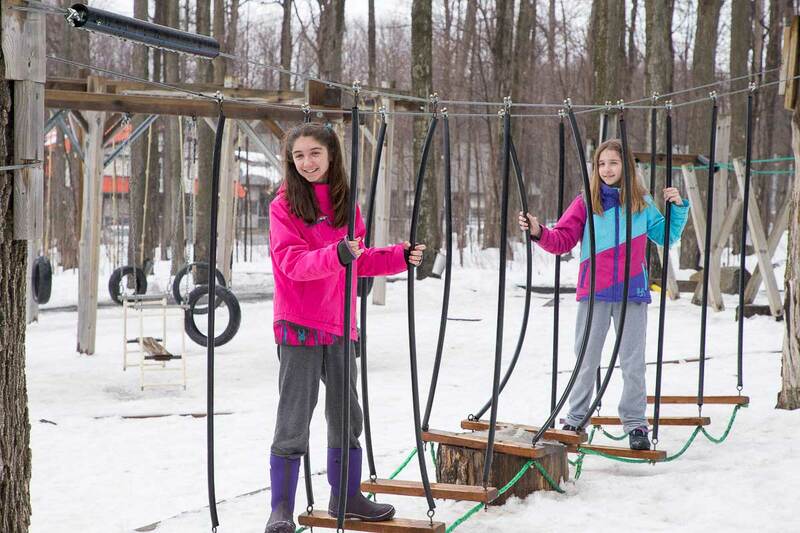 For children and adults, it is a great joy to take a walk in the woods to discover our installations on the mountain.